I absolutely love Valentine’s, like I was saying on Instagram, I get that you should treat your signifcant other like gold everyday, but there’s nothing wrong with a day dedicated to romance. Anyways, those are just my two cents, I’m a sucker for love and being a newlywed isn’t helping lol. 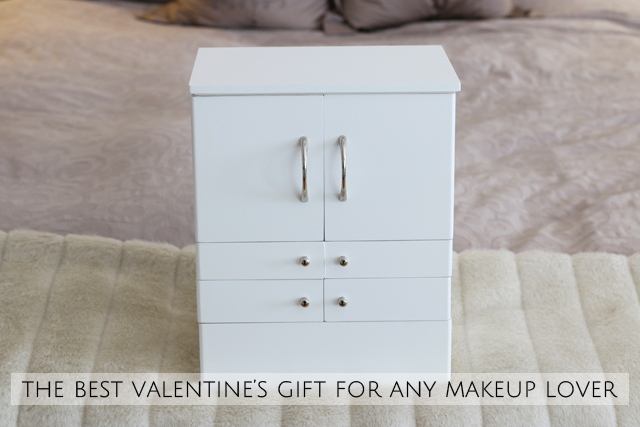 Onto the best valentine’s gift for makeup lovers! 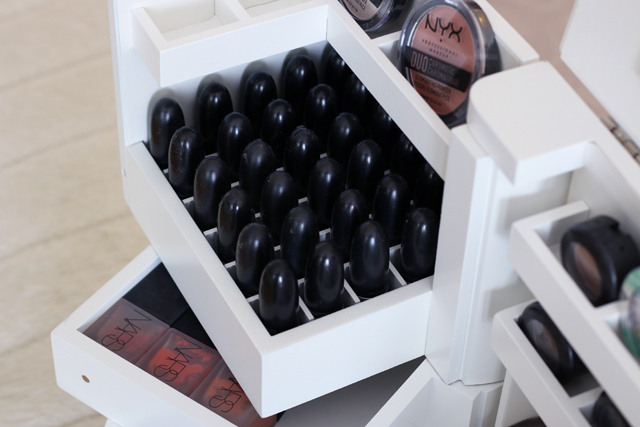 Ok so if you guys are like me, you know what you want when it comes to makeup. You know which brands work for you, which shades suit you best and what you’re comfortable with wearing. Makes it hard for anyone to purchase the right makeup for ya. Well not to worry, I have the solution for you! 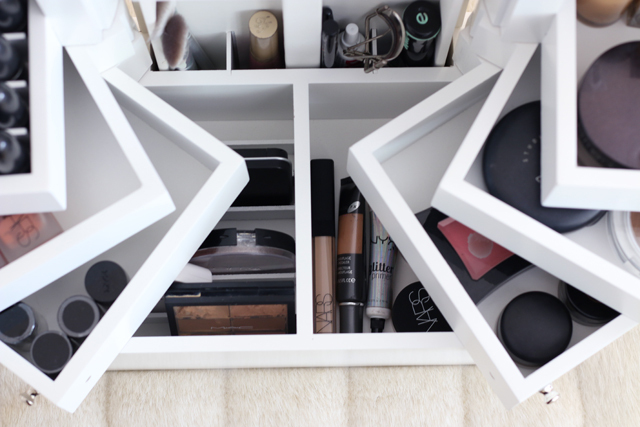 A cosmetic organizer obviously!! I mean, what else is more perfect? We’re doing the declutter challenge this month in the Deep Beauty Facebook group, and one thing it’s got us doing is organizing! 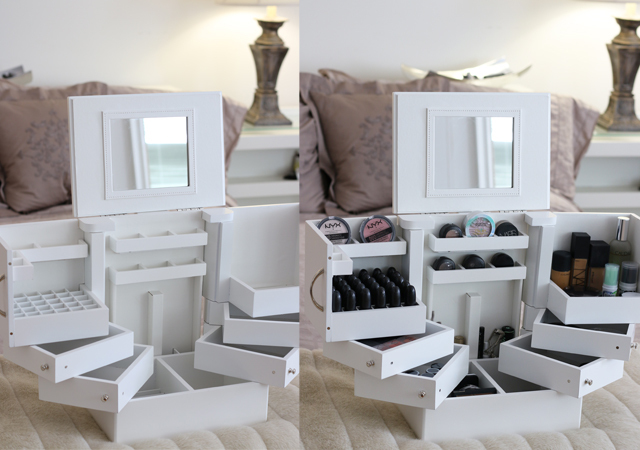 I LOVE this Lori Greiner deluxe cosmetic organizer for that. 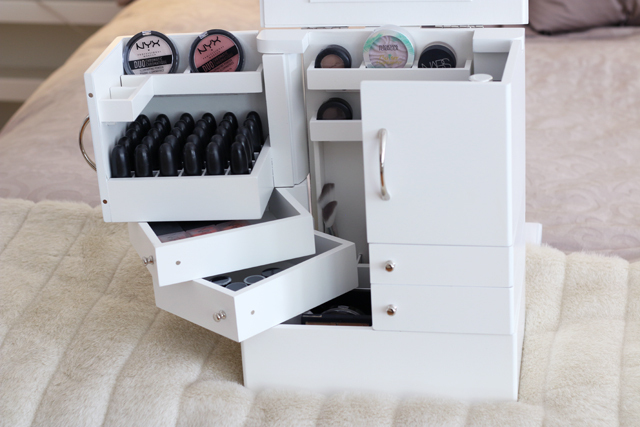 It has compartments for pretty much any shaped makeup, not to mention how many lipsticks you can fit into this thing. The perfect gift. 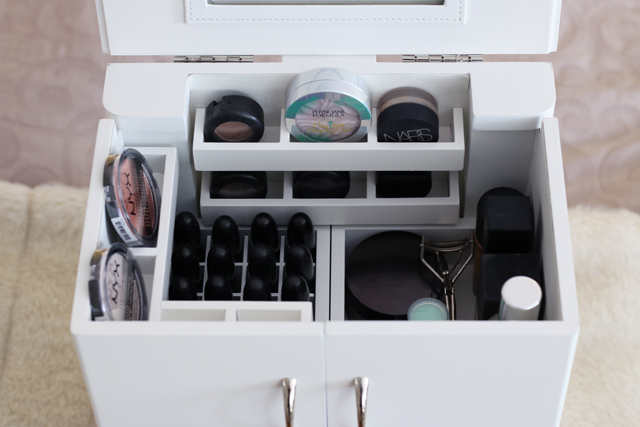 Plus it’s cute, closes to look like a mini jewelry armoire so you won’t see clutter (visual clutter ends up as clutter in our brain) and has a mirror built into the lid. 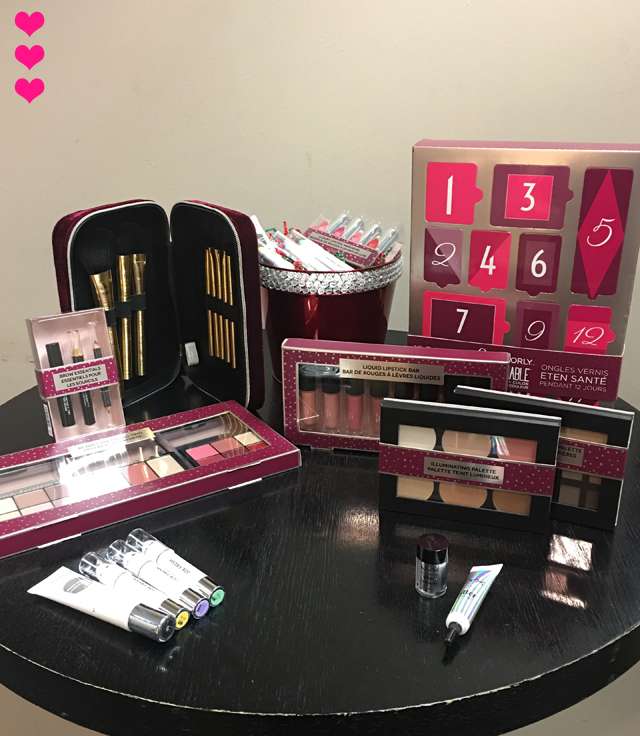 Did I mention that it’s the perfect gift for makeup lovers? What would your perfect Valentine’s gift be? This post was sponsored by Bed, Bath & Beyond, as usual all opinions are always my own. Hey, hey! Happy Sunday everyone! What are you all doing today? I got up early to edit and post today’s video, got in some grocery shopping and am getting ready to watch the Grammy’s red carpet in a bit! I’ve been sticking to the 2 videos/week schedule for a while now and I have to say, it’s so much fun! You guys might’ve noticed I was posting on Wednesdays & Saturdays but recently made the switch to Thursdays & Sundays. I’m just trying to post them on days when you guys want to watch them. If you guys participated in my poll on IG, thank you for the feedback!!! 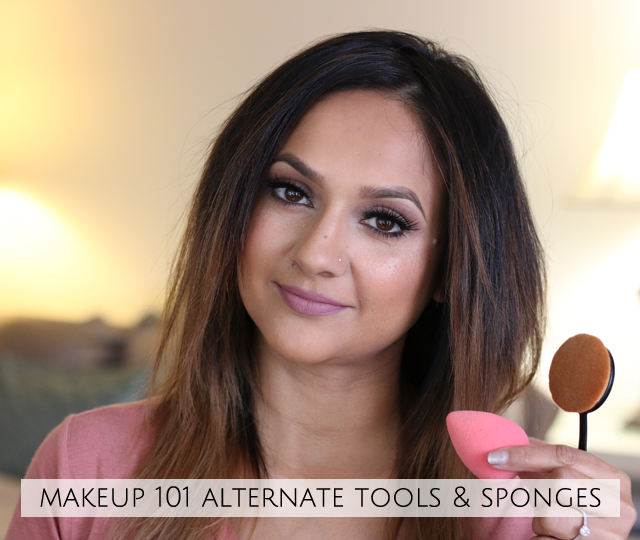 Ok onto today’s video, we are talking alternate tools/brushes that are great for applying makeup as well as the different types of sponges out there. Ok so you guys have seen all of those beautiful eye makeup looks on Instagram and on Youtube and you’ve tried to recreate them but it just doesn’t turn out. Well, that’s because you need the right tools! 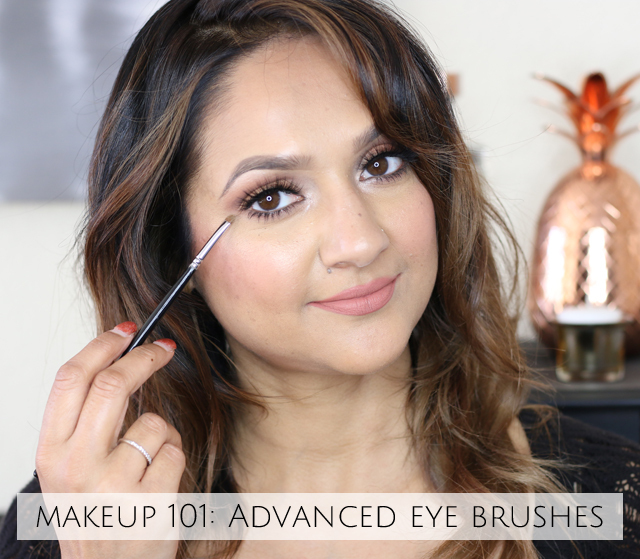 So for our newest Makeup 101 video, I’ve put together a list of your advanced eye brushes. We are back with another Makeup 101 video for you guys! 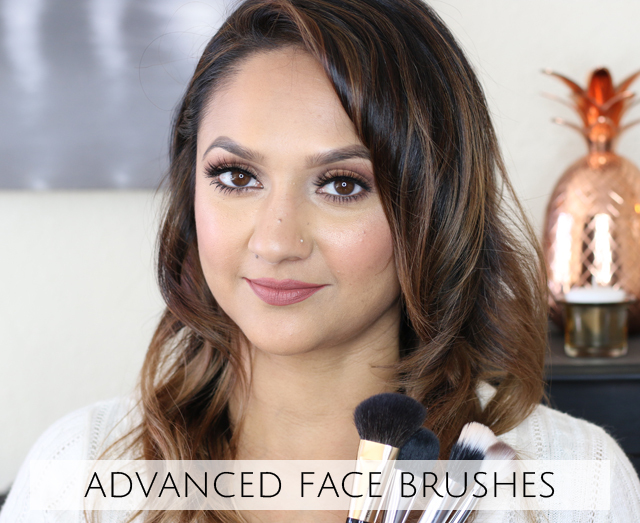 In this one we go over some advanced face brushes that could be a good addition to your makeup brush collection. Like I mention in the video, you don’t have to purchase these exact ones, this is just meant to give you a general guide as to what to look for when adding to your brush kits. The brushes in this video are perfect for highlighting, contouring and achieving a flawless blush look. Guys it’s finally here! 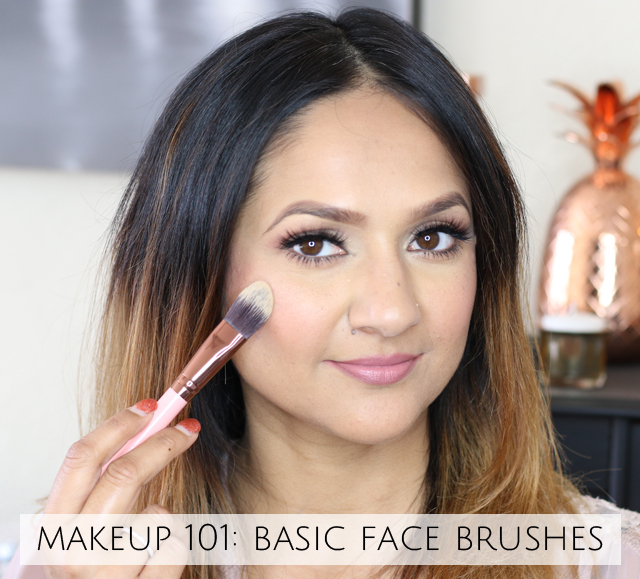 Your Makeup 101 series has officially kicked off with this video right here, all about your basic face brushes. So excited about this series guys because you guys have been requesting this for so long. We are going to be doing a monthly focus, with this month being all about brushes and tools. The first video here is a breakdown of your basic face brushes, we are going to go through basics first and then get into advanced brushes and of course maintenance. Hey, hey! Few more days left until 2018 begins! What’s everyone doing on New Years Eve? Derek and I haven’t decided just yet, but there’s always so much going on. 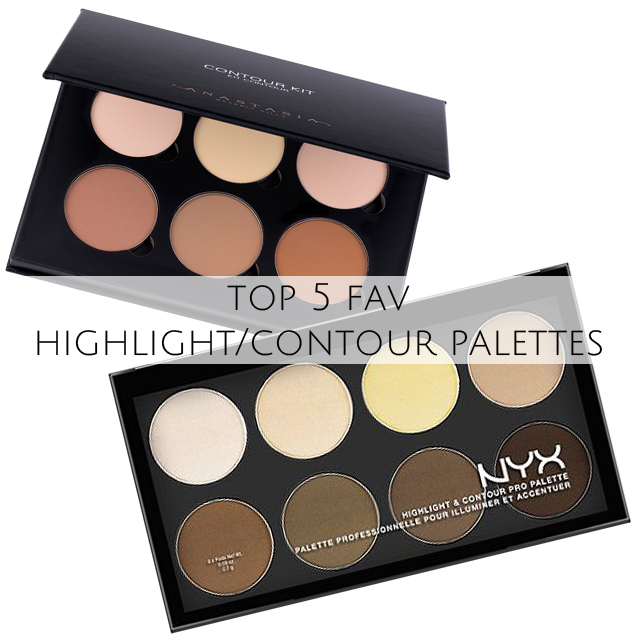 Before we wrap up 2017 I thought I’d share my top 5 fav contour and highlight palettes. That’s one thing I get asked about a lot, and I’ve definitely tried a bunch of these so figured I could help you guys if you were looking to purchase a palette. If there’s one thing I know for sure, it’s that I’d rather have an entire palette than a few separate products. 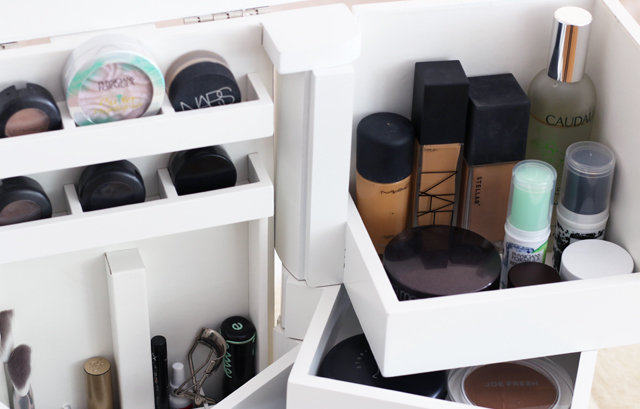 It’s just too convenient having everything you need in one spot. 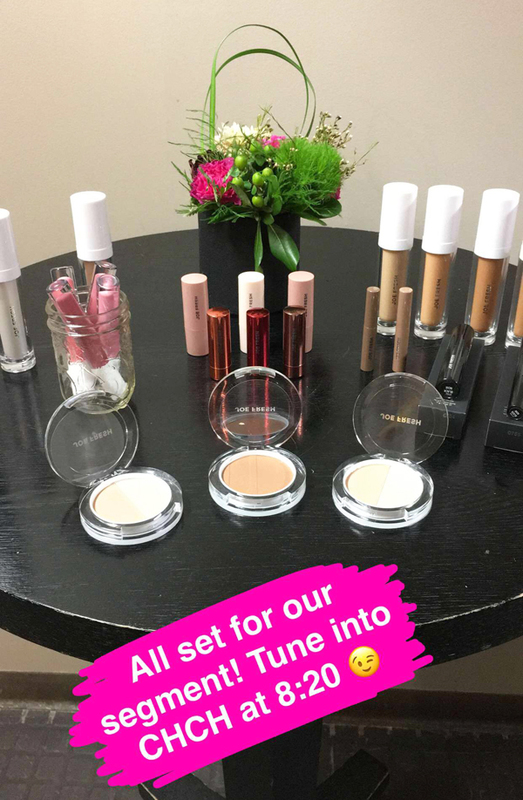 Ok we are going to talk about one company that lead the way when it comes to contouring and highlighting, and that is Anastasia Beverly Hills. 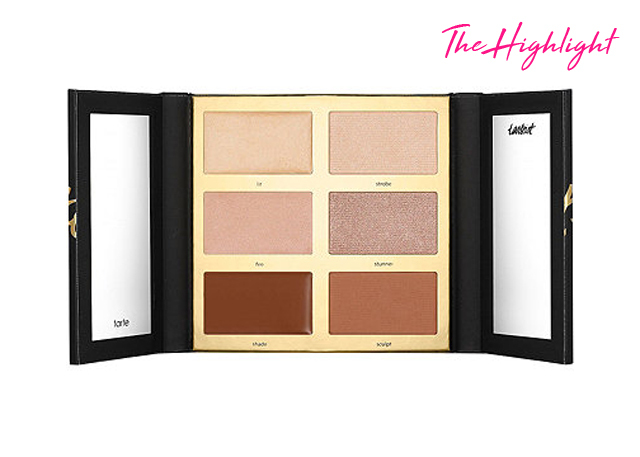 They nailed it with the original contour kit, the first of its kind released. Amazing. Also the first one I ever owned. The colours that come in it are great and the palette is customizable when it comes to ordering the refills. Also I want to talk about their cream contour palette. Amazing. 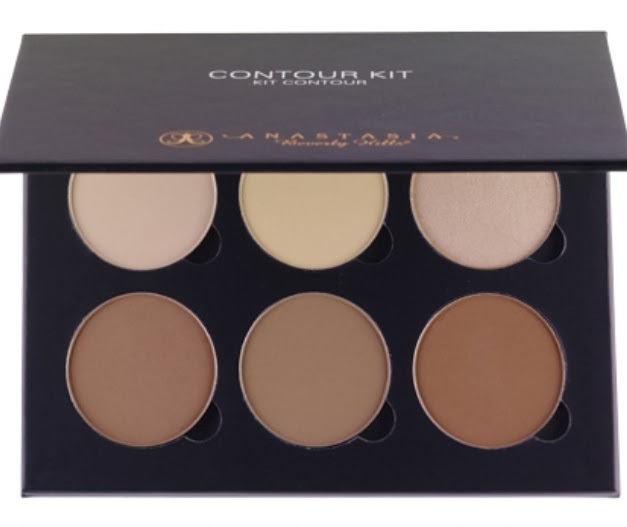 I love to layer products so starting out with a cream contour, setting with a translucent powder, and then topping with a powder contour palette is the way I usually do things. 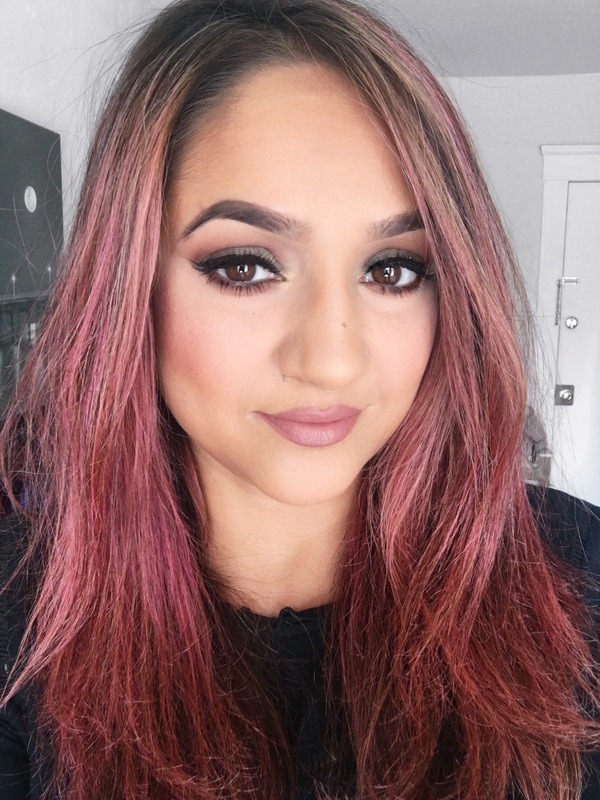 Ok so the Tarteist Pro Glow palette is a new find for me and I have to say simply gorgeous! The contour color is perfect in my opinion and the highlight colours are beautiful. I just wish they had a cream highlight color, but hey, the shimmery highlights make up for it. 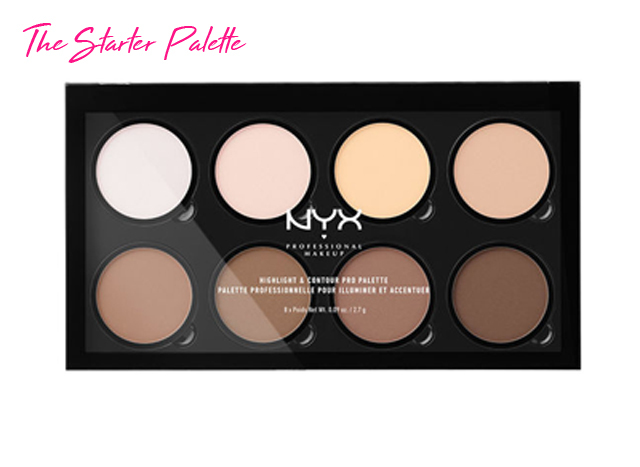 If you are just starting out with contour and highlight and don’t want to break the bank, the NYX Cosmetics Highlight and Contour Pro Palette is perfect for you. Great colors, great payoff and great wearability, all at a great price. 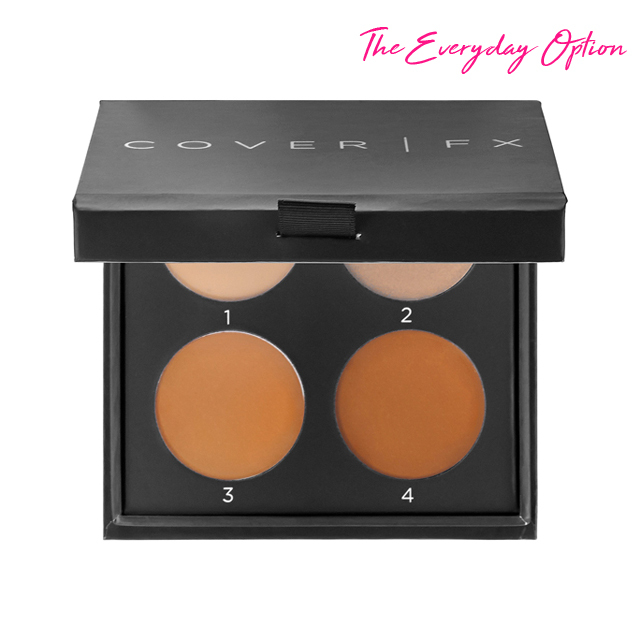 If you’re looking for an all in one, everyday option, the CoverFX Contour Kit is the perfect choice. It has your foundation color, contour, highlight plus a shimmery highlight color. Can’t beat that! 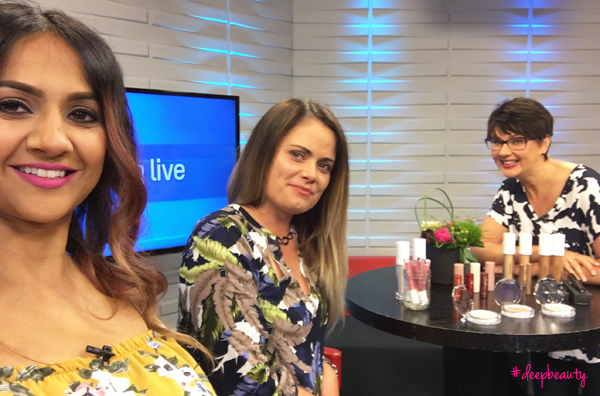 Did you catch us on CHCH Morning Live today? 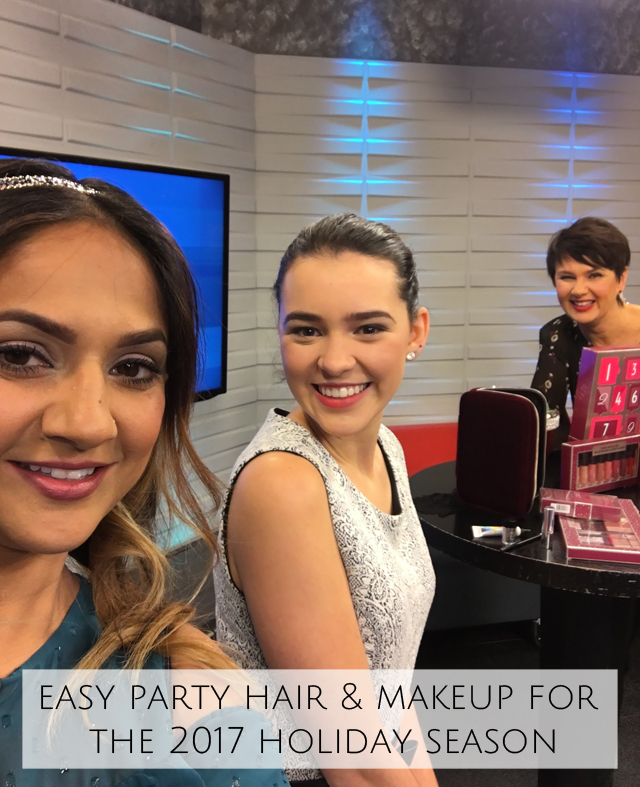 Host Annette Hamm and I were talking easy to do party hair and makeup for the 2017 Holiday season. I really wanted to touch on taking your makeup look from day time office appropriate to work holiday party chic. So many of you ask me about that and I totally get it, most of us work far from home so going all the way back home to get ready only to drive back to the city isn’t always an option. I’ve got some tips for you guys on how to start your day with your base prepped for the evening thanks to Joe Fresh’s Hydrating Primer & Colour correcting crayons. We touch on makeup you can throw on to take your daytime look to night and super easy holiday hair. Happy Makeup Monday everyone! So when I was trying to figure out what I wanted to share with you all today, it hit me. Whenever I create a look, I almost always start with the way I want the eyes to look first, and the last thing I think about is the lip color. When I’m in San Diego I obviously don’t have all my makeup that I have to choose from at home. Not having a million colours to choose from, you have to get creative. 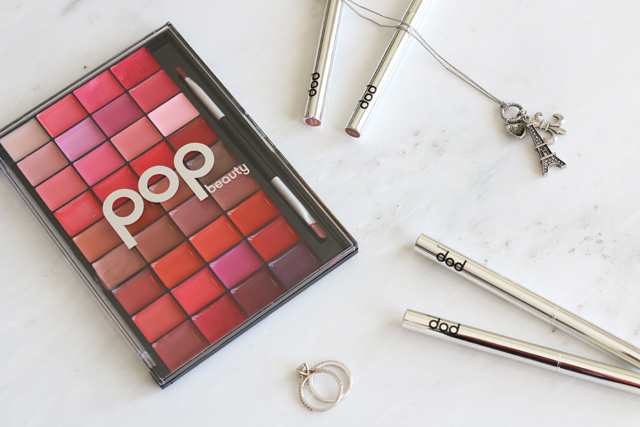 Which is where the Pop Beauty Rouge Mix lip & cheek cream palette comes into play. 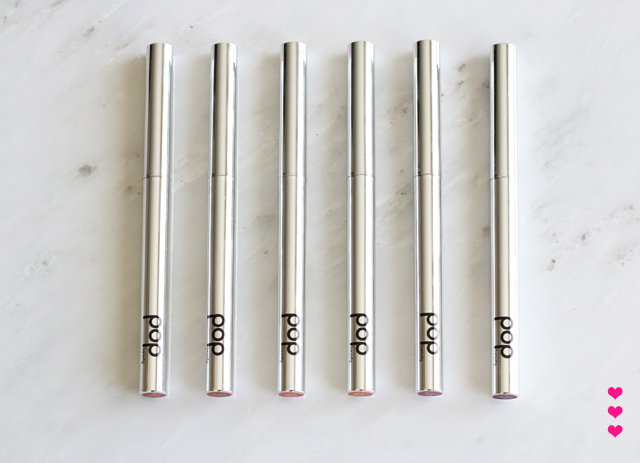 Having a lip palette with 0ver 2 dozen lip colours to choose from makes creating any look super easy. 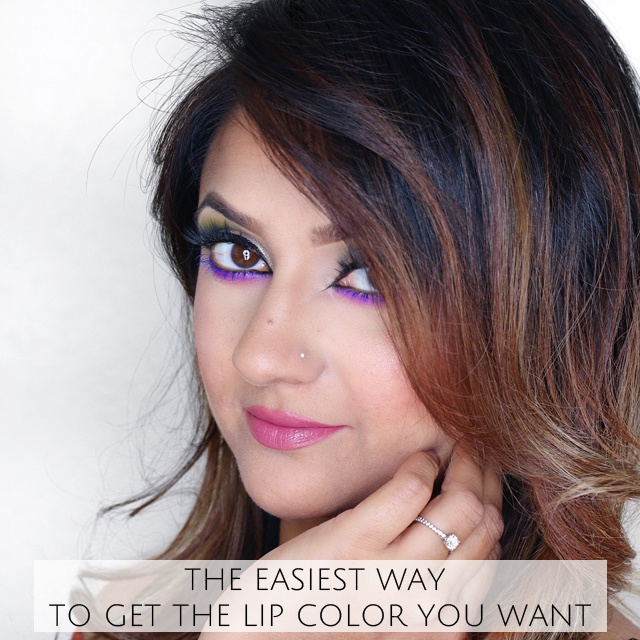 Plus if you don’t find the color you want to use, you can mix and match different shades to customize the look you want. 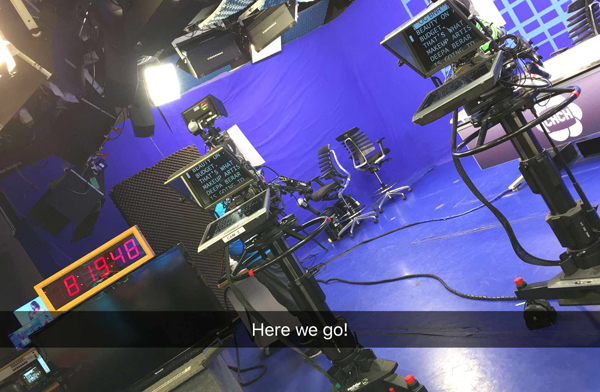 If you’ve ever seen me doing makeup applications at CHCH you’ll know that I almost always mix 4-5 different lip colours together to get the perfect shade for our news anchors and on air guests. 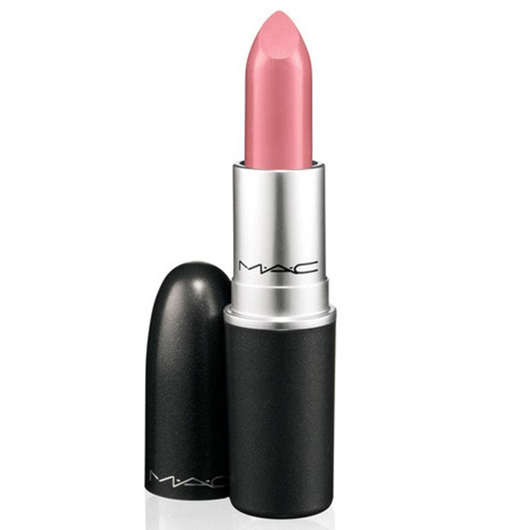 Are there any lip colors you guys are super excited about? 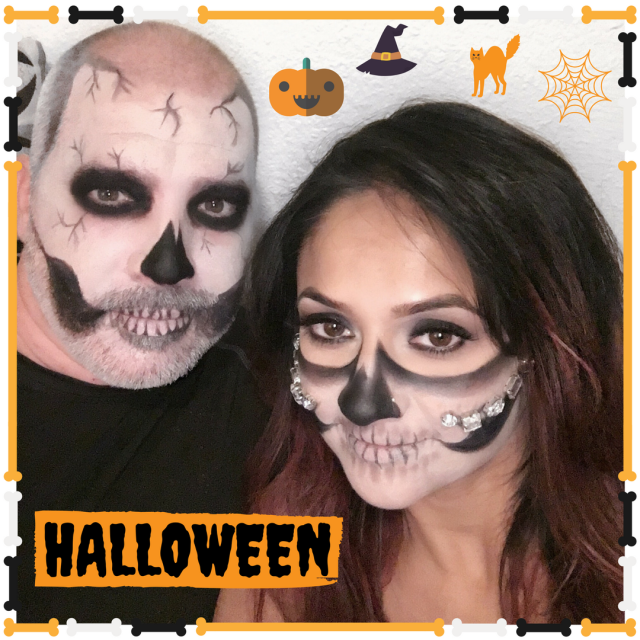 Happy Halloween from The LaVelles! 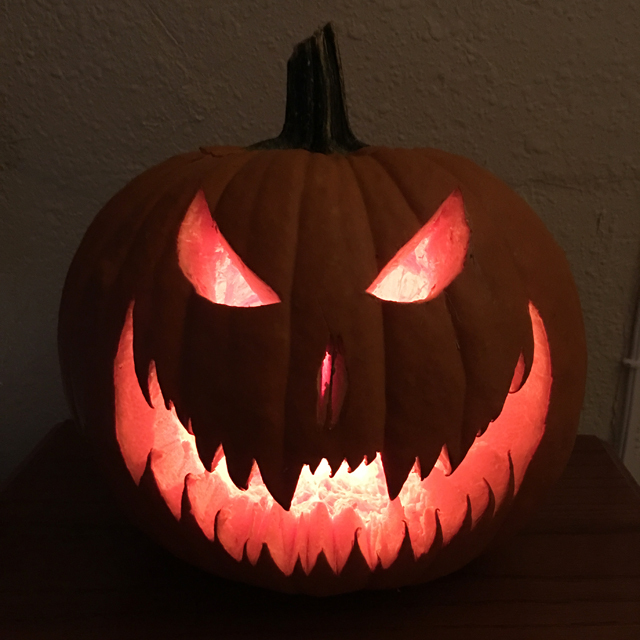 It’s Halloween guys!! Who else loves this time of year? Ok so while I love Halloween, Derek actually loves it more, which is why we made sure I would be in San Diego at this time. It’s been a fun filled few days, but my fav part was Derek letting me do a sugar skull makeup on him. So, so fun. Couples who makeup together, stay together as the saying goes (or something like that) haha. 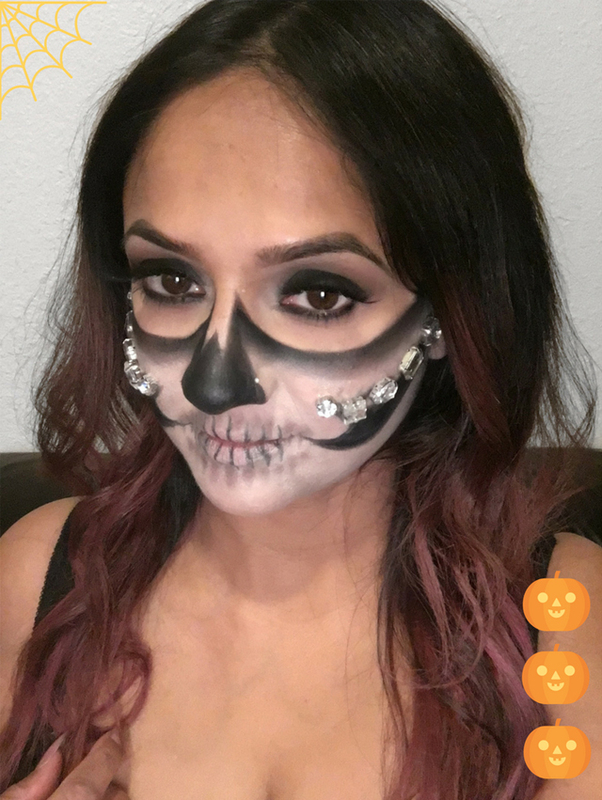 Anyways I have some Halloween makeup tips for you guys! My top adhesives for glitter & jewels. 1. Shimmer- INGLOT Duraline. Mix some shimmer into a drop of duraline to get a super pigmented shine. 2. Glitter- NYX Glitter Primer. Apply a dab to your skin and press the glitter on top. 3. Jewels- Spirit Gum. Apply a drop to the back of the jewel and hold the jewel onto your skin for about 10 seconds. Hope that helps! What are you all dressing up as? 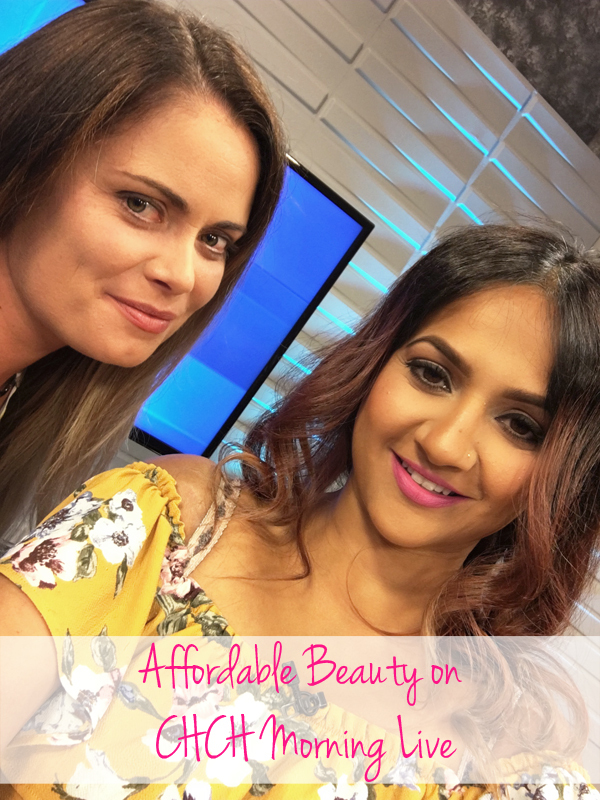 I teamed up with Shoppers Drug Mart to show you guys Joe Fresh’s beauty line! My sister in law who just moved to Canada texted me the other day asking where in the world you get your beauty needs from since there’s no Target up here. I was like Shoppers of course! I didn’t even have to think about it, it’s just always been the go to. Always a fun time on set with Annette Hamm. A big thank you to Ilona for being my lovely model again! You can watch the segment below. 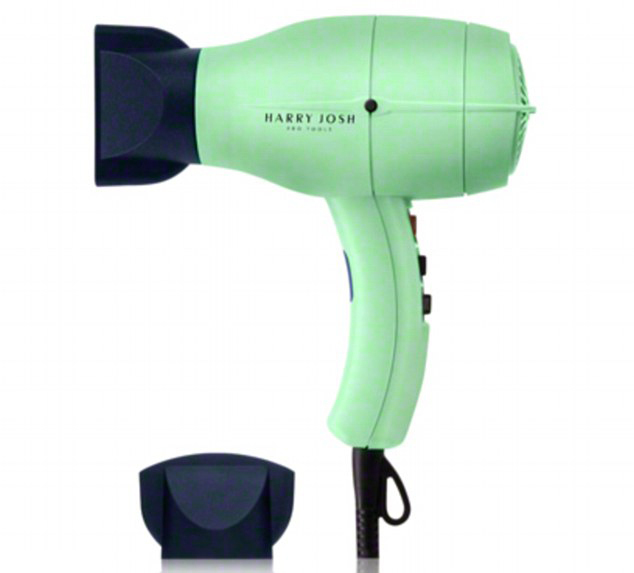 Question- What’s your go to store for everything beauty?